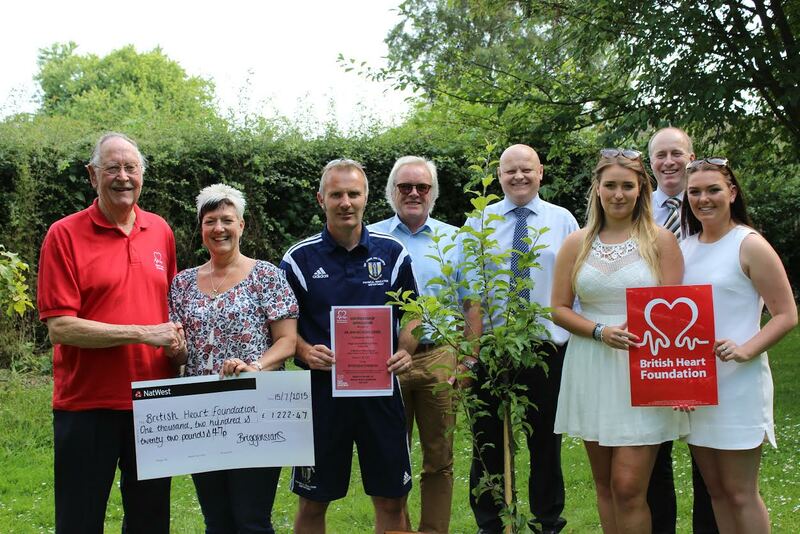 A football match organised in memory of popular and highly respected Brigg teacher and sportsman Adrian Gibbons, who died in March 2014 aged just 63 has raised funds for the British Heart Foundation. The match was held at the Hawthorns where a Briggensians XI faced a team made up of the club's old boys and former Brigg Town players. The result was 4-3 to the Briggensians, however the old boys performed well especially with their 14 players during the second half! Gibb, as he was known, worked at the school for more than 30 years and was still an active sportsman, playing for Briggensians just three days before he died. Around 40 players expressed an interest in pulling their boots on for the game so there was 2 teams playing 45 minutes each. Players each paid £5 to take part in the game. As well as Briggensians and Brigg Town old boys, there were players who have turned out for clubs such as Bottesford Town and Appleby-Frodingham and many who he inspired. Representative Brian Taylor for the British Heart Foundation received proceeds from the match that raised £1,222. Ryan Johnson (head boy) took the photographs. Pictured are Brian Taylor representing the British Heart Foundation, Jane Gibbons, Jon Taylor, Carl Sherwood, Matt Mosey, Kelley Gibbons, Lucy Gibbons and Alex Smith. It is hoped that this will become an annual event.